Imagine a website where you can shop for all of your baby and toddler essentials and Christmas gifts, create wishlists with all the lovely items you would like or need AND receive great advice and product recommendations from other parents and parents to be. Babyhuddle provides just that! Babyhuddle is a wonderful support network where you can have questions answered while online shopping for your little ones. No new parent need feel scared about seeking advice when you can do it discreetly from the comfort of your own home, or even on the go with your mobile device. 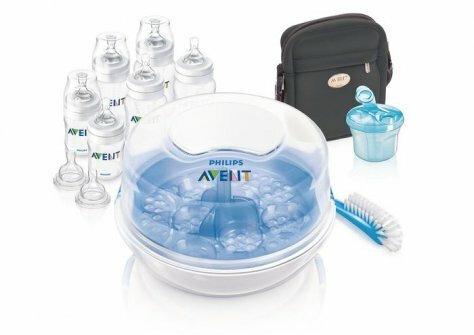 Babyhuddle have kindly provided a superb Avent Bottle Feeding Essential Kit worth £49.99 to giveaway! The kit contains everything you need to start bottle feeding your baby and would make a lovely gift for a parent-to-be or someone with a newborn this Christmas. 6 Avent Bottles (4 of 260ml/9 oz and 2 of 125ml/4 oz) and 6 teats (2 x newborn flow teats and 4 x soft flow teats). For your chance to enter you can use the Rafflecopter entry form below. kimmer21 is my babyhuddle username! Wet wipes!! Can be used for everything!! My essential baby product is muslin cloths. With a new baby they have been invaluable in avoiding any major accidents! My essential baby product was cloth nappies!! Saved me a fortune and look so cute! I registered on baby huddle the other day and i think my user name is ummziyad although i am not sure tbh but i think so!! My Essential Item would have to be Muslim Squares - Eco Friendly and wipe up anything!!! My essential item baby wipes great for everything! as to be wipes - could not have done witout them. Apart from a pram/pushchair, I think the most essential item has to be a baby bouncer/rocker. They really are invalueable, well they were for me anyway. Now my daughter is pregnant and I have just purchased one for baby. Cant wait.